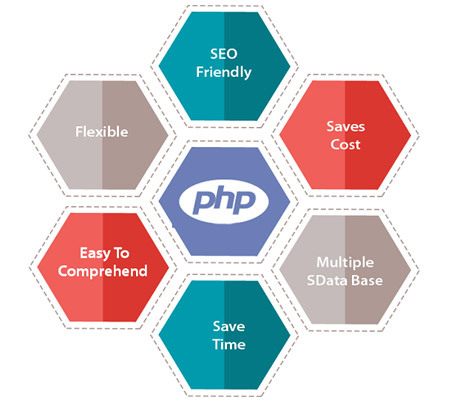 PHP is a widely used, freely available open source technology which finds itself amongst the choicest technologies for web application development. PHP combined with the most popular open-source database, MySQL yields the widest range of exciting applications along with amazing features and extensive functionality. PHP MySQL development is best suited for companies vying to grab the attention of web users through creative PHP MySQL web applications. The combination of PHP and MySQL has led to the emergence of a new, easy and powerful way to generate dynamic web pages. It allows end users to perform various tasks like make boolean choices, carry out numeric calculations and such other enhanced functions. This relational database system along with PHP helps developers to create useful and well formatted web pages that actually interacts with the visitors. However, PHP MySQL development requires skilled hands, and we give you skilled hands that are experienced in this task. We offer you highly affordable and reliable solutions. Our PHP MySQL developers possess the much needed technical expertise, and they create websites and applications that operate smoothly over multiple operating systems with exceptional operational capability. Chandigarh's Leading PHP mysql Company ! Ink Web Solution provides PHP mysql services in Chandigarh, Mohali, Himachal Pradesh and India.